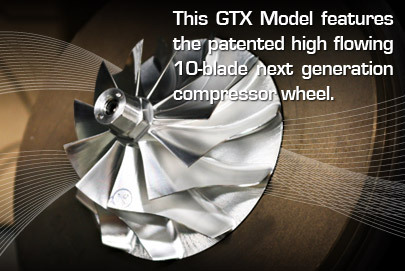 New GTX2863R dual ball bearing turbo with ultra high flow compressor wheel and featuring Garrett 10-Blade technology. 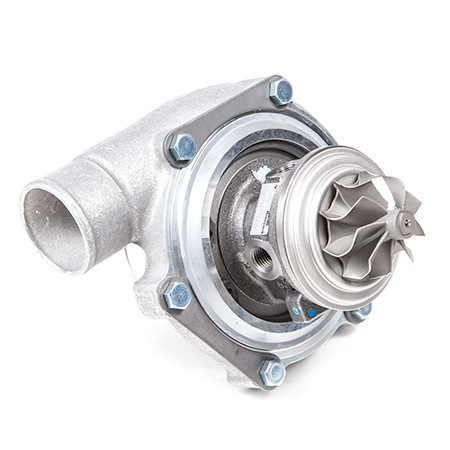 425HP potential flow. 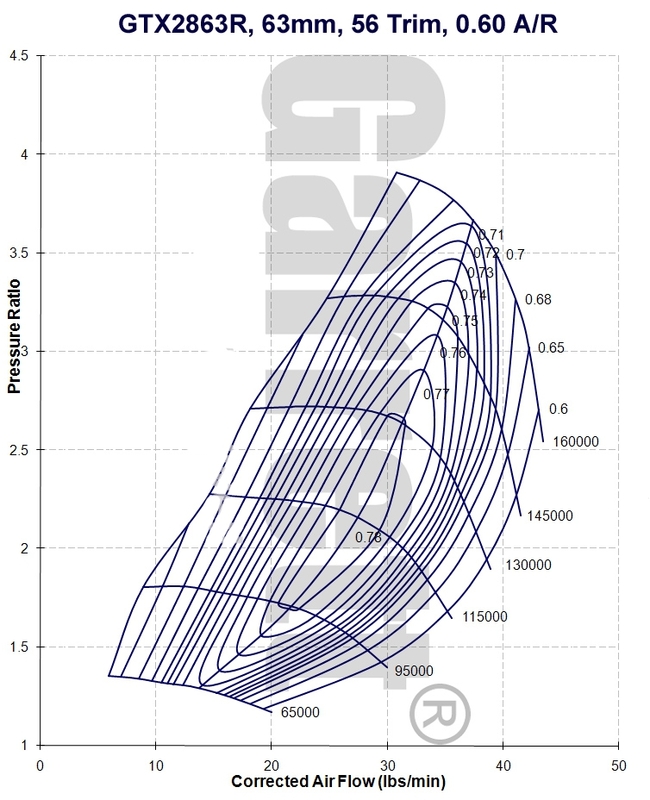 The GTX2863R external dimensions is the same as a GT2860RS. 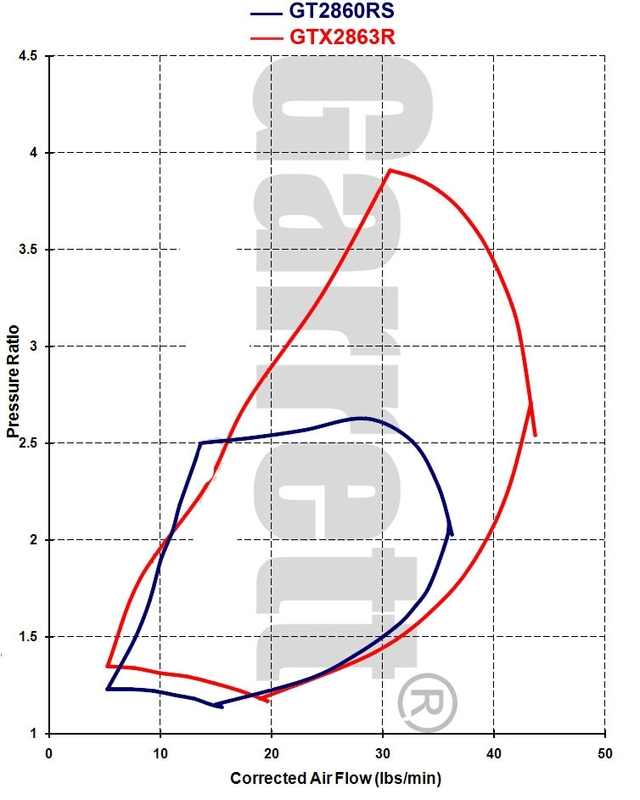 As a result, no changes in the engine bay is required to upgrade from GT2860RS to GTX2863R! 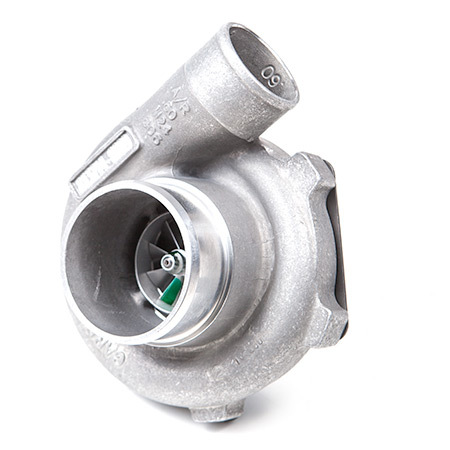 * Standard compressor housing is GT28 style with 3" inlet and 2" outlet with built & machined anti-surge. 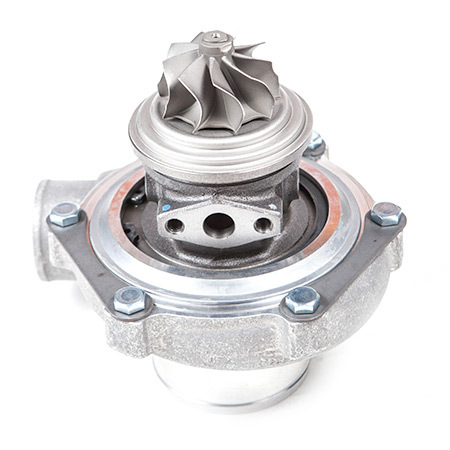 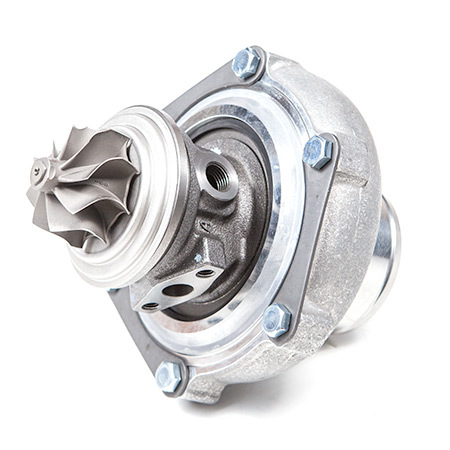 Optional compressor housings available: GT28R (2 bolt inlet and 3 bolt outlet); GT2554R Style; or RB Twin Style.